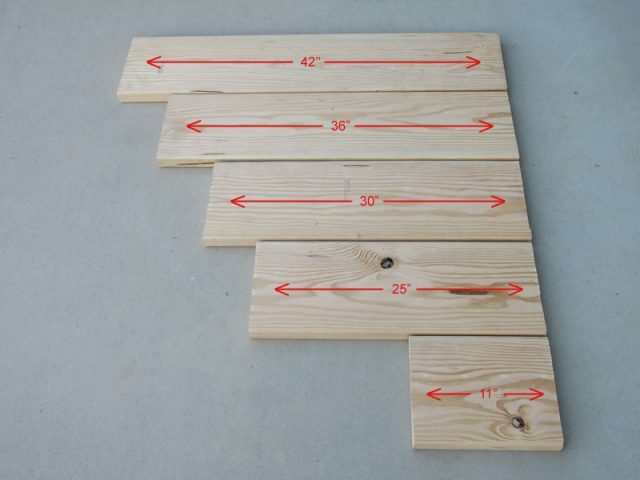 STEP 1: Cut the 12-ft piece of lumber into pieces measuring 42″, 36″, 30″, 25″ and 11″ (144″ = 12′). You can cut it to different dimensions if you prefer, these just worked for me personally. 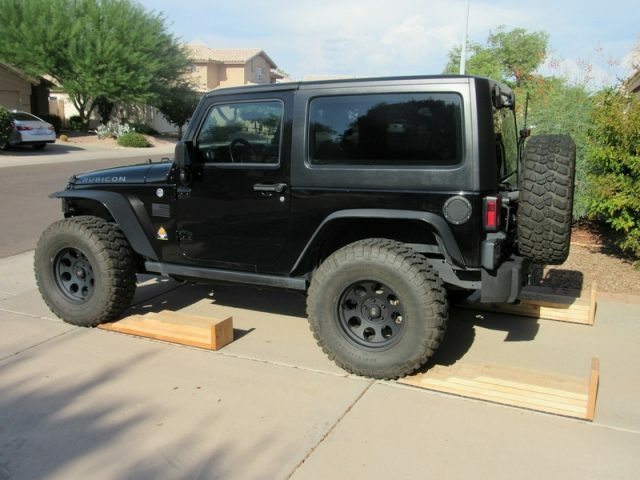 I wanted to have four steps giving me a total of 6″ in height with the top level long enough for my 35″ tires. You can change the length of the pieces if you’re building a ramp for a lower profile car. STEP 2: Bevel the edges 45 degrees. 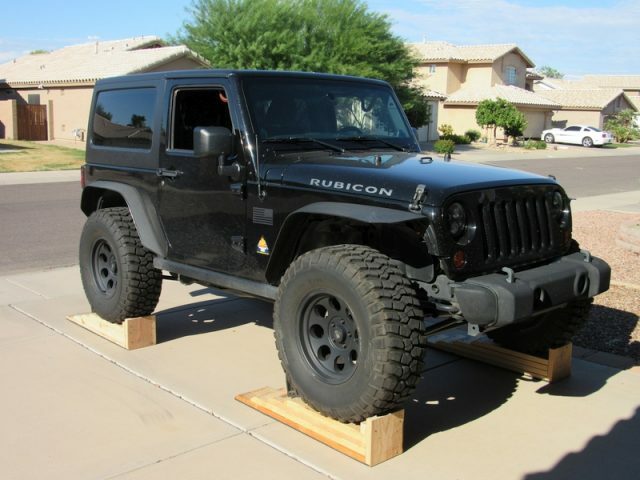 It will make the transition between steps smoother, however you’ll still feel the tire moving up over each step. You can count how many steps you’ve taken as you drive up, so you always know where you are. You can’t do that with the single incline ramps. STEP 3: Attach second level to the first level using wood screws. Pre-drill pilot holes for the screws to prevent the boards from splitting. As you attach the third and fourth levels remember to offset the locations of screws to create stronger bond. 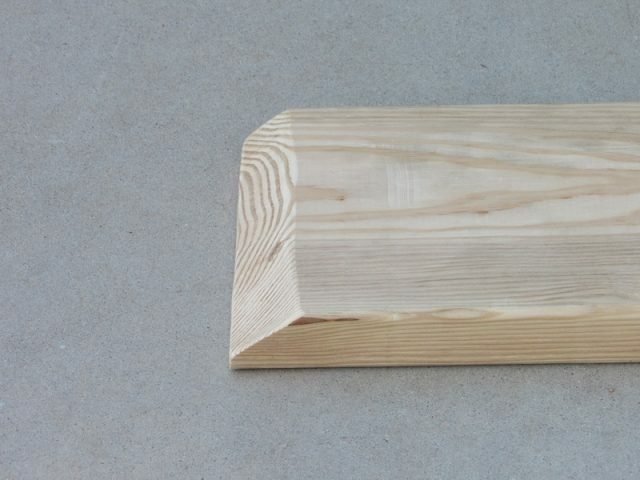 STEP 4: Attach the small piece of wood vertically at the end of the ramp to create a stopper. 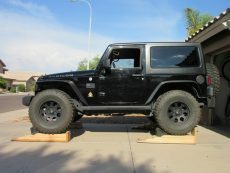 The design of the stopper is up to you, just make sure it’s big enough for your tires and attached to the ramp firmly. 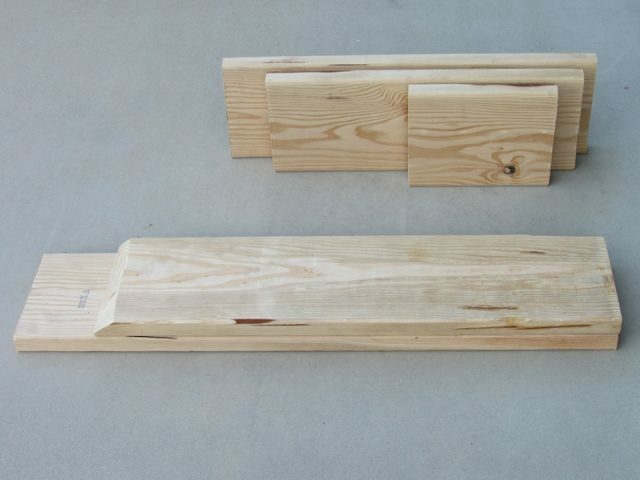 You can cut the top 2″ off and create a double stopper which is even stronger. STEP 5: Cut the shelf liner to size and attach it to the bottom of the ramp with heavy duty staples. If you buy the 20-in wide roll of shelf liner, you can just cut it in half and it will perfectly fit the bottom of the ramp. 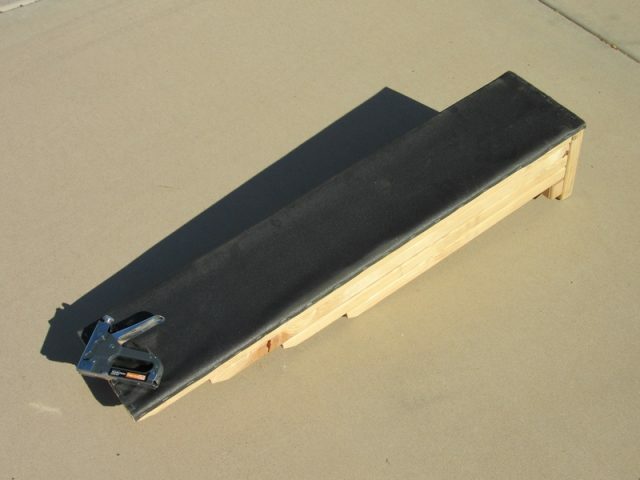 The liner is made out of soft rubber material so it will prevent the ramps from sliding as you drive onto them. 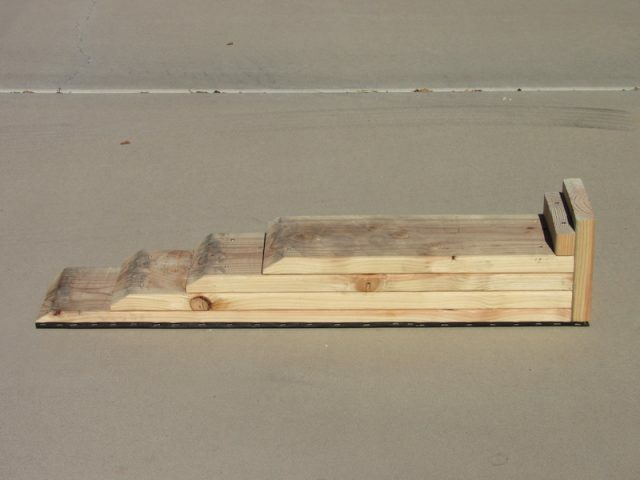 It is not necessary since the ramps are seriously heavy, but I believe it makes the ramps even safer to use. Place ramps the same distance from tires, preferably right against them. 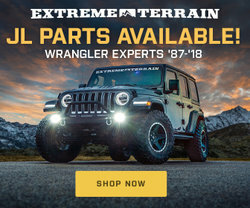 I like to take advantage of Jeep’s 4LO gear to drive up onto the ramps, since it gives me the most control, and you don’t have to step on the accelerator to hard. 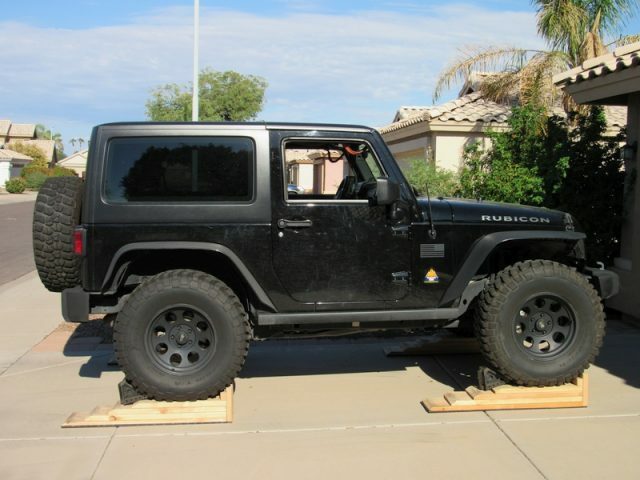 Remember to place wheel chocks against the tires once you’re on top of the ramps. It’s for your own safety. 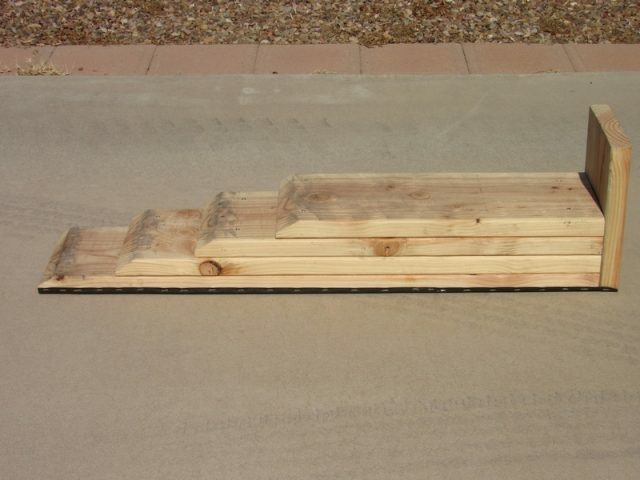 If you have any suggestions or ideas for better wooden ramps, feel free to comment below.